We offer a complete machining and finishing service, enabling us to control the complete manufacturing process in-house. Following the commissioning of our latest plant and equipment, we are now able to offer a complete machining and finishing service, enabling us to control the complete manufacturing process – from design to distribution – all from our own, purpose-built facility in the UK. With this end-to-end capability, our experienced team takes responsibility for the whole process, ensuring complete and consistent quality control throughout to make certain the finished product is delivered on time and to specification. 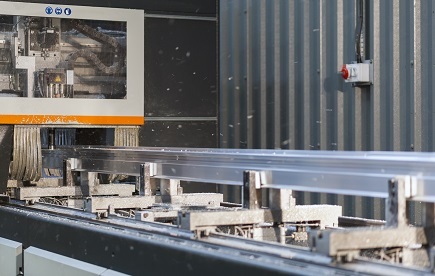 The addition of three CNC automatic saws enables us to provide a fast and efficient cutting service, accurately cutting to any length from 6mm and above. The installation of a FOM double-mitre saw, also allows us to cut 45° and compound angles. 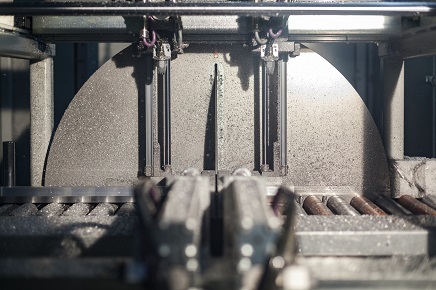 Our two four-axis machining centres enable us to provide a range of machining services for any cut length over 100mm – including drilling, tapping, slotting and routing. We also have a de-burring facility for smaller parts.